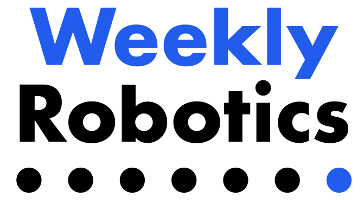 Weekly Robotics is a series of handpicked resources about Robotics that is delivered weekly in a form of a robotics newsletter. There is no fixed set of criteria how the resources are selected, however a great care is taken in making sure that the resources have a reasonable level of technical depth - allowing the reader to have a good idea about the presented concepts or providing supporting resources that extend the topic. Mat is a robotics consultant with experience working on drones, mobile and industrial robots as a robotics engineer and a software developer. To learn more about the author please visit his consultancy website. As of 1st of January 2019 Mat is a proud partner of 1% For the Planet, pledging to donate 1% of sales to environmental non-profit organizations. This means that any profits made by Weekly Robotics will help make our planet a better place. If you have any suggestions about WeeklyRobotics or would like us to include your project in one of the issues please feel free to contact us.